Your end-users expect consistent, high performance for business-critical applications. Not only do NetApp all-flash arrays deliver consistent low latency under the most stressful workloads, but performance does not suffer when storage efficiency technologies are turned on. Other vendors can’t make the same claims; we guarantee it! To control costs you need to purchase the least amount of storage capacity possible. 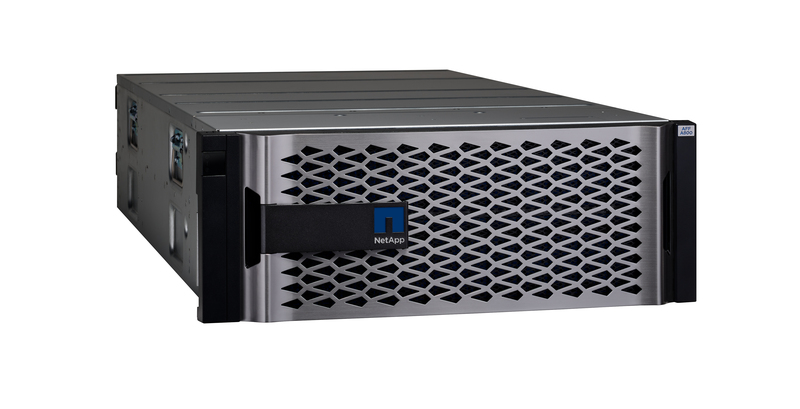 NetApp delivers market-leading data reduction with features like deduplication, compression, and compaction. Turn on snapshots and the storage savings increase 10X. Not only do we promise better effective capacity, we offer the most effective guarantee. No fluff. No fine print. Your end-users need non-stop access to business-critical data. Unplanned downtime and other disruptions should not impact running your business. NetApp all-flash arrays provide application-consistent data protection, synchronous replication, built-in encryption, WORM protection, multi-factor authentication, FIPS 140-2 Level 2 certification, crypto shredding and more to protect your data and help you meet governance and compliance requirements. NetApp has your back. Sure, we can offer you a free controller upgrade. Anyone can. But we don’t want to lock you into a future that’s strictly on-premises. There’s a good chance your IT strategy will take you to hybrid or public cloud within the next 3 years. Our NextCredit program gives you the agility to connect to the cloud and integrate your data, both on-prem and in the cloud – with no upfront costs. Enterprise applications often demand more capacity in an unplanned way. Plug-ins for Oracle, Microsoft SQL, SAP, My SQL, MongoDB, and IBM DB2 let you empower your application owner to provision storage as they need it – easily and without being storage experts. NetApp provides the fundamental building blocks for hybrid cloud to ensure you have the right data in the right place for the right cost. Whether it’s tiering cold data to the cloud, using cloud for backup, or unifying management across flash and cloud, NetApp all-flash storage connects to more clouds in more ways than anyone else. Technology advancements allow you to stay relevant and drive ahead of the competition. In 2018 alone, NetApp led the market shipping NVMe over Fabrics (NVMe-oF), the industry’s first end-to-end NVMe system, support for 32 GB fibre-channel and 100 Gb Ethernet, data management software for server-side persistent memory, and cloud data services. Our innovation focus allows us to deliver on the Data Fabric strategy, giving you the freedom of choice, future-proof environments, simplicity, and protection required for your successful digital transformation.